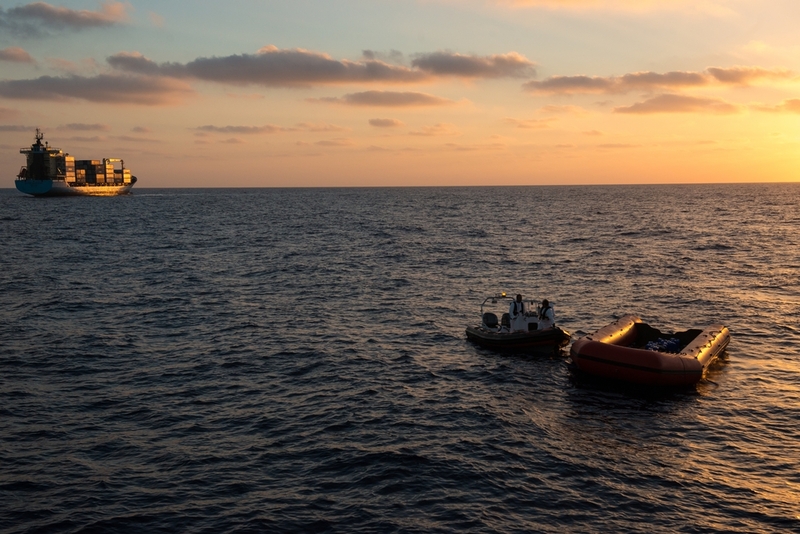 In December 2018, the Aquarius – MSF’s last remaining search and rescue ship in the Mediterranean – was forced to end operations after political pressure from European governments. 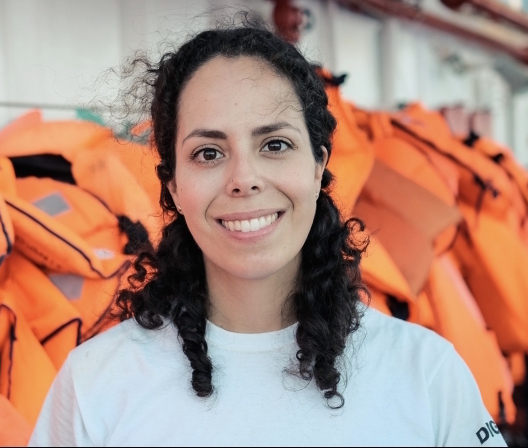 For Canadian nurse Courtney Bercan, who worked on board the vessel Dignity 1 back in 2016, this news resurfaced difficult emotions and inspired her to write a heartbreaking “memorial” for those lives lost at sea. Three children, babies practically, dead before me. Their parents, dead beside them. "Theirs were the littlest bodies we recovered that day; their lives were short." 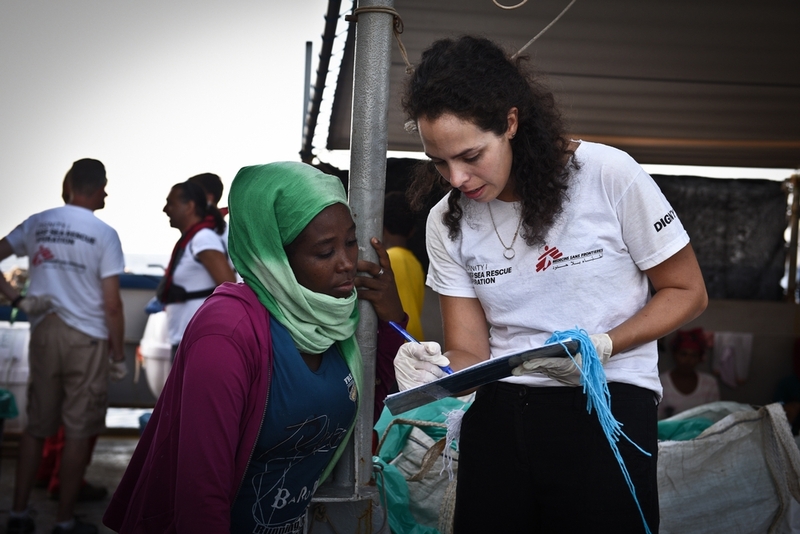 It is now two years since I was on an MSF search and rescue vessel in the Mediterranean and it’s been a slow path, at times, to finding healing and peace for the things we saw and experienced there. As my life back in Canada settled into a predictable rhythm, the memories started coming out of the blue and with intensity. They demanded attention. As healthcare professionals, we rely on these phrases to keep us sane. But what do you tell yourself when none of them apply? Theirs were the littlest bodies we recovered that day; their lives were short. Their time in Libya would have been characterised by deprivation and fear. Their parents would have agonised over whether to board an over-crowded dinghy with no life jackets, no realistic chance of making it to Europe, and little guarantee of rescue if they didn't. The trip would have been terrifying, uncomfortable, and exhausting. The sun beating down on them. Their throats parched after having run out of water. Fuel sloshing around the boat – stinging and burning their skin. I find it difficult to think about the flash of hope they must have had when they saw our rescue boat on the horizon. But then, someone slipped into the water, destabilising the boat and the collective psyche. Panic ensued. 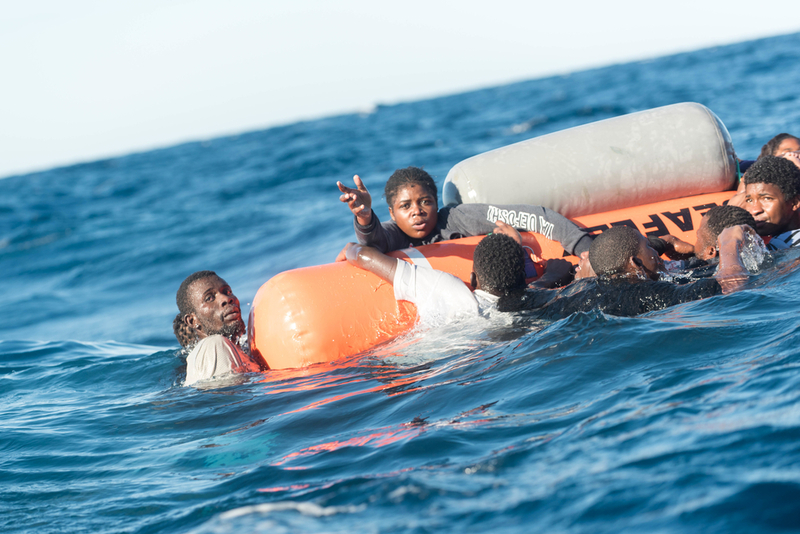 The flimsy dinghy started to collapse and the women and children in the middle and those sitting along the edges would have been amongst the first victims. It’s impossible to piece together the exact sequence of events for many of those who drowned further than that. But what struck me about these babies when they were brought, lifeless, onto our ship was that they were plump. They were healthy and filled with potential until they drowned moments before we reached them. I have one specific memory that I have been suppressing. I rarely let my mind form a full picture of it. When I do, I am watching it from above: like it wasn’t really me there experiencing it. I try not to get too close to it. I definitely can’t think about the cold skin, the tiny fingers, the wet clothes, the smell of gasoline… the fuel blisters. I really can’t handle the blisters. I comfort myself with the thought that anyone who has worked with MSF has got to have these “out of the question”, “no-go zones” in their mind, right? "There is a small shard of light in the dark moments I spent with these kids: I may not have been a witness to their beautiful, short lives, but I was a witness to their deaths and the pain of it lives in me." But the truth is, I knew it was time to “go” there because months later, whether on a busy bus or an idyllic hike, this memory, amongst others, returned. The rock of sadness manifesting as a chest so tight it’s difficult to breathe. A rapid pulse. A lump in my throat so big that I had to bite my cheeks to keep down. My squeaky voice replying, “I’m fine” to a colleague who knew I clearly wasn’t. I knew they weren’t either. How could they have been? And finally, the reverberations of energy in my heart as I carefully cleaned the bodies of those babies while silently chanting: “I’m sorry. I’m sorry. I love you. I’m sorry”. I’m learning to make space for these memories and how they fit into my normal, very privileged life, but there are certain things that I struggle to reconcile. Nothing I do can make up for, or even begin to fix the incredible injustice of the fact that this happened in the first place. There was no memorial for three small children who died 80 years too young, a few hundred kilometres from safety. No possibility of conveying to the parents how sorry, how desperately sorry I was, since their parents were lying in body bags next to them. In that moment there was mainly, I’m embarrassed to admit, startling numbness and a desire to run as far away from that ship as I could. And part of me has been running ever since. So how do I, years later, find a way to honour those little lives the way they would have been if they had had the fortune of being born with the “right” colour skin or the “right” passport? How arrogant am I to even hope that I could? I wish I had an answer to this question; an easy one, a hard one, an incomplete one… I’d take anything. But nothing makes their death less brutal, painful or unfair. And for the first time I see that there is a small shard of light in the dark moments I spent with these kids: I may not have been a witness to their beautiful, short lives, but I was a witness to their deaths and the pain of it lives in me. It’s not enough – not even remotely enough. I don’t kid myself. I cannot know their names, their favourite games, or even where they were from, but I know that they were. I have the incredible honour of feeling the sorrow of their deaths that their parents, lifeless beside them, did not live to feel or carry. The pain is not pleasant, but I wouldn’t change that we were there – if only to bear witness to the fact that these children existed and the injustice that they no longer do. And if pain is the price we pay for that, the price we pay for knowing and acknowledging the intrinsic value of the thousands of lives that continue to be lived and lost on the Mediterranean then I will cherish it. I will not run from it. Rest in Peace to the tens of thousands of people who have lost their lives so senselessly in Libya and on the Mediterranean while European leaders stood by and watched. We will not forget you and we will not be silent."